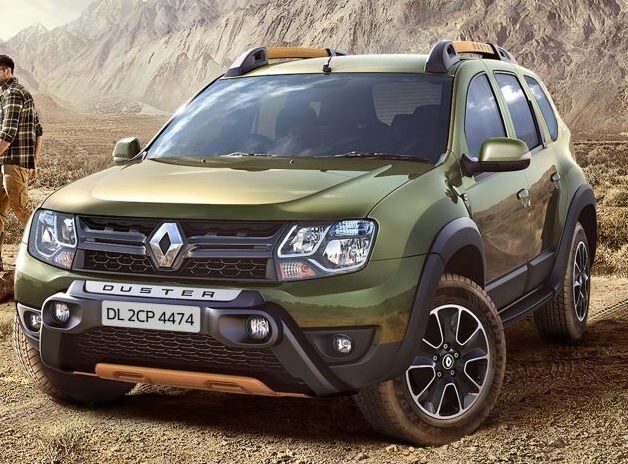 French automaker Renault has launched 2019 Duster in India at a starting price of Rs 7.99 lakh for base RxE petrol variant. The top of the line RxZ 110PS AWD diesel has been priced at Rs 13.09 lakh. The new Duster comes equipped with a host of new features and now offers a more affordable RxS diesel AMT trim to the prospective buyers. Among the key additions on 2019 Duster, the prominent one is the updated touch screen infotainment system which now has got both Apple CarPlay and Android Auto compatibility. The safety has also got the fillip with 2019 Duster range featuring ABS with EBD as the standard part of the equipment. Renault has also rationalized the variants by deleting the standard trim which was earlier offered with an 85PS diesel engine. Besides, RxL trim has also got the omission from the variant list owing to its low popularity among the buyers in the past. On the petrol front, however, the company has added RxL manual variant which was previously offered only with the CVT transmission. There hasn’t been any change in the engine and transmission options with 2019 Duster continue to get powered by a 1.5-liter petrol and a 1.5-liter diesel engine. The petrol engine has an output of 106PS and 142Nm and can be had either with a 5-speed manual transmission or a CVT gearbox. Diesel engine, on the other hand, is available in two different states of tune – 85PS/200Nm and 110PS/248Nm. The 85PS diesel version comes mated only to 5-speed manual gearbox while the 110PS version can be had either with a 6-speed manual or an AMT gearbox. In the Indian market, 2019 Renault Duster is pitted against the likes of Hyundai Creta, Maruti S-Cross, Mahindra TUV 3OO, Nissan Kicks, and Tata Harrier among others.